Hardworking laminate is a stylish and affordable choice that compliments any decor. Constructed with the highest quality substrate, contemporary laminates are easy to care for and durable. Combined with white, antique white, grey or black laminate casework, our crossgrain laminates are used for doors, drawers and trim. Our durable crossgrain laminates create a unique, contemporary look and are easy to care for. Combined with laminate casework, thermofoil doors offer a large selection of door styles and finishes. This durable and long lasting material is easy to care for. Constructed with MDF (Medium Density Fiberboard) and thermofoil wrap. See your More Space Place designer for more details. Available in many foil and wood door styles. Choose from a variety of glass and laminate inserts for a truly custom creation. Sleek and sporty, our high gloss finishes come in foil eased & foil sunrise door styles. Ask about more available colors. 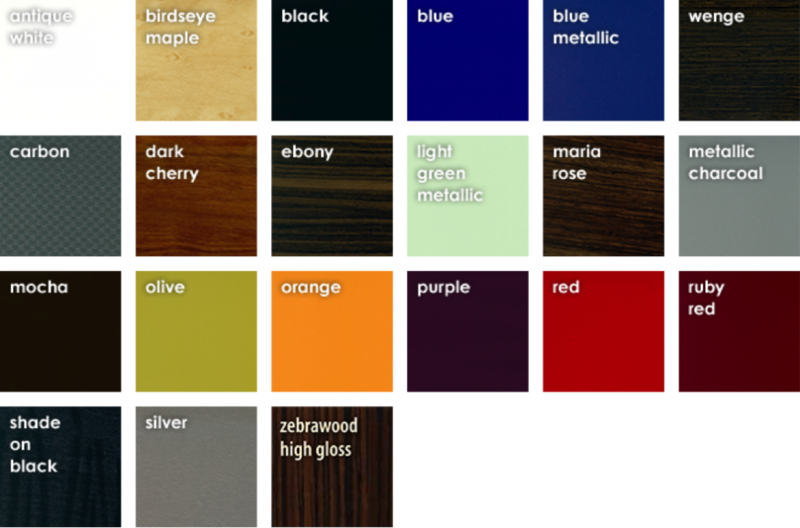 Our clear coat wood veneers are a great addition to any decor. Our wood veneer line is available in natural maple, natural cherry, natural oak and natural walnut, built on a plywood core. Wood veneer casework can be combined with contemporary style wood veneer cabinet doors and drawer fronts, or combined with our solid wood cabinet doors and drawer fronts which are available in a variety of styles. 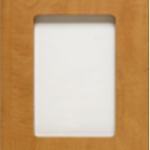 Add the beauty and character of premium solid wood doors and trimwork to your laminate or wood casework cabinets. 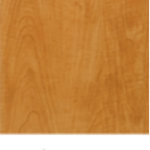 Available in cherry, maple, oak and walnut, these solid wood door finishes add a touch of elegance to any custom furniture design. In addition to the finished options below, you may also select your wood cabinetry unfinished for on-site custom staining or painting. See your More Space Place designer for more details. Our expert design staff is ready to assist you with measurements, furniture planning and pricing. Request a complimentary design consultation today!